Your busy schedule might make you forget important events, meetings or tasks to do. To prevent this oversight from causing any serious damage, perhaps it is time to seek help from a Personal Information Management (PIM) program. 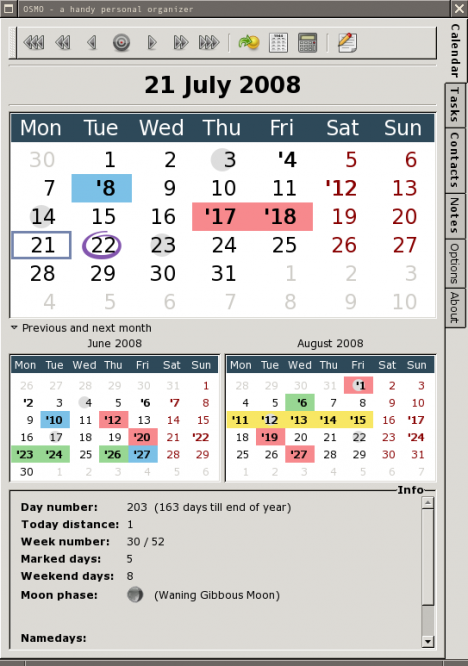 Windows OS offers Microsoft Outlook as a PIM tool. But if you think this is not tailored to your preference or it is too complicated for you, it could be worthwhile looking at the simple but feature-rich PIM tool, Osmo. Users who are interested and keen to try this application can download it via the link here.